All of us here at F.I.N.D.S. want to wish all of our readers and followers Happy Holidays! We hope you have a wonderful week filled with family, friends, and laughter. We are taking the rest of the year off to do just that. It is the holidays though and we don’t want to leave you empty handed. I know a lot of you are probably working on holiday baking and last minute gift wrapping. We created a free Gift Tag printable as our holiday gift to you. 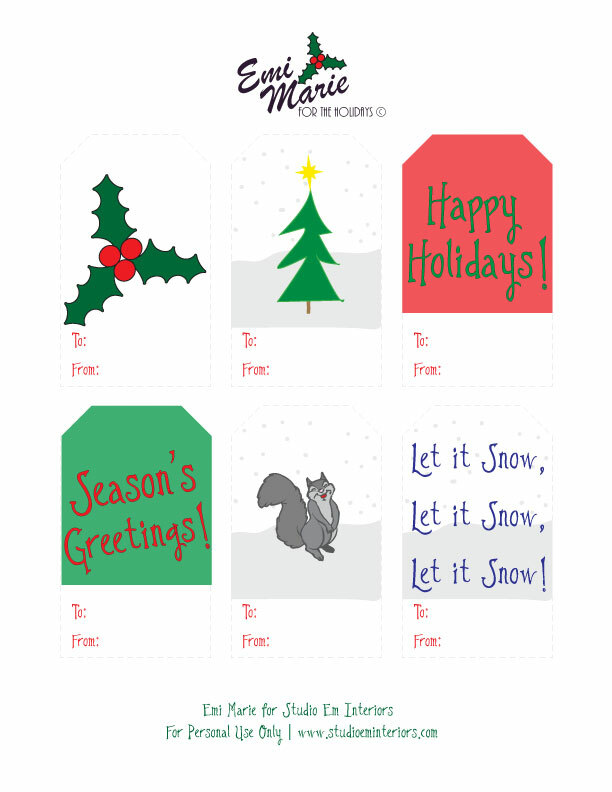 Grab our gift tags, print them out on some cardstock and dress up your gifts this year!